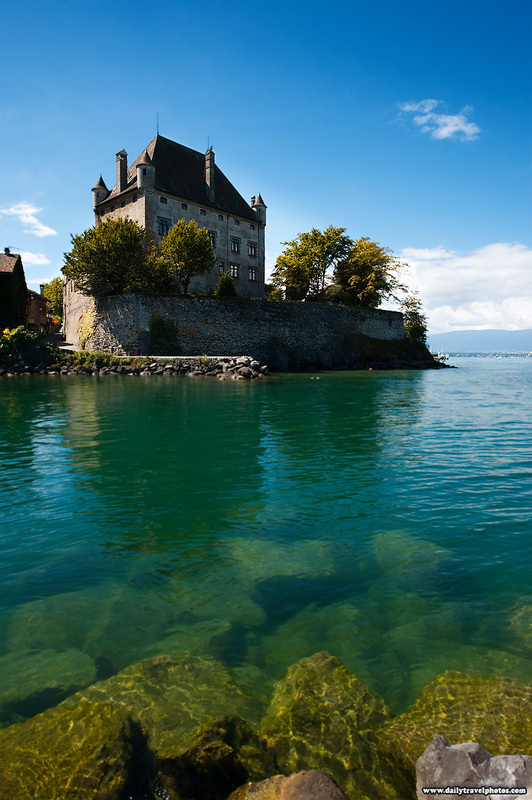 Yvoire's lakeside castle holds a commanding view over Lake Geneva. As of lately, I've had a hard time choosing between horizontal and vertical versions of similar photos. I tend to error towards the side of portrait orientation but I've included the landscape version below in order for you to decide. 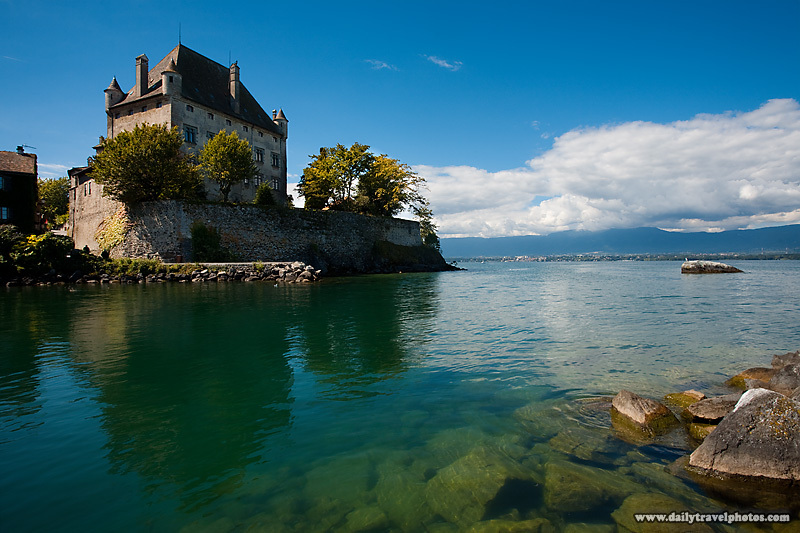 An ancient castle at Yvoire floats in Lake Geneva.